August 12, 2015- It is raining stars tonight! we are expecting a rain of stars tonight with a peak of meteorites showing off during dawn! What do you mean you know? Oh, yes, you are right 😉 I will be staring at the sky at about 5.00 i the morning, or at least this is my plan. And I mean to make wishes in order to maximize the chances, so I prepare my list. So, I would urge my friends to do the same. You don’t want to see all these stars falling with an enormous luck potential and stare speechless, not knowing exactly what to wish? When I was a child, I was told a beautiful story about a man whose Luck was sleeping at the top of the mountain; to make a long story short, he went through a lot of trouble in order to wake her up. On his way home, many opportunities for love, power and material success presented themselves but he was close to all of them. He was not willing to change his perspective. So, he ended up being devoured by a lion who was told that it needed to eat the stupidest person alive in order to check its enormous appetite. Here you are April, open your eyes and say yes to opportunities you were not expecting! Make a list of wishes, but if something beautiful comes along the way, say: why not? 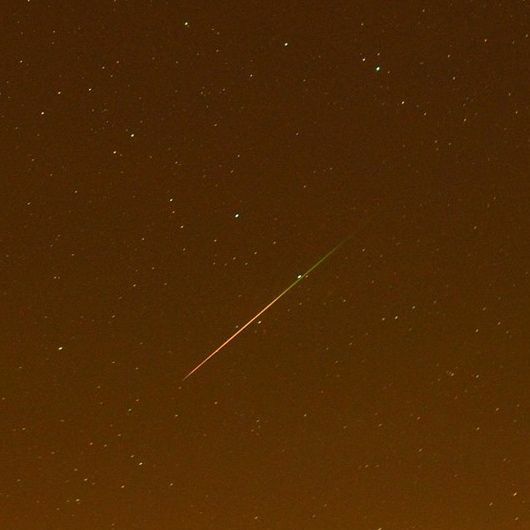 thanks to http://earthsky.org/tonight/peak-night-for-the-perseid-meteor-shower, an idea of what it might look like. August 11, 2015- Buy Buy Paris, see you again in September! where were I these first days? I was travelling towards the South of France, in my hometown, a small place somewhere in the ” Alpes Maritimes. Yes, I will keep it a secret for the moment. Because in this way I can talk about people in the art world without having to reveal my identity or theirs. People are not as important as situations, interactions, and this is similar to every human being on earth… and different at the same time. That is why we are blogging and sharing experiences. I plan to stay here for a while and then enjoy the seaside, there are so many beautiful spots in this area! I also need to release some pressure and forget my plans, let the universe take charge and take a nap!